Yesterday, the Salford Quays HQ of construction company Lendlease was occupied by groups to highlight the company’s involvement in prison expansion, which includes a new £250million mega-prison in Wrexham and a potential new prison in Greater Manchester. 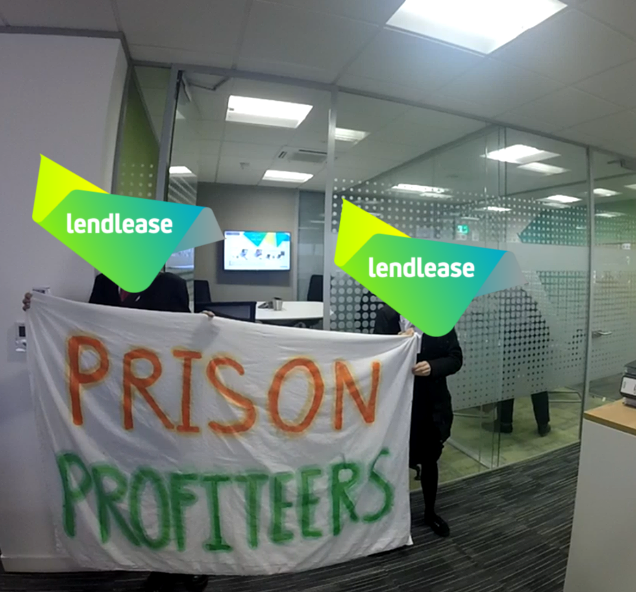 Yesterday, the Salford Quays offices of Lendlease, which wins contracts to build new prisons, were occupied by residents of Salford and Manchester carrying a banner reading `Prison Profiteers’. The group was highlighting Lendlease’s work on the £250million construction of a new 2,100-person `mega-prison’, HMP Berwyn, in Wrexham, and its potential work on a future mega-prison in Greater Manchester, currently being mooted by Greater Manchester Combined Authority (GMCA). * Almost three-quarters of prisoners (73% in 2014) have no job on release from prison, and less than a sixth of the rest (12% in 2015) subsequently find long-term employment. * UK prisons see around 300 deaths (290 in the 12 months before March 2016), almost 3,000 recorded cases of serious assault (2,822 in 2015), 300 cases of sexual assault (2015) and over 32,000 instances of self-harm (32,313 in 2015) annually – all at or near their highest levels ever. * Almost three-quarters of prisons were “judged as requiring improvement or inadequate for learning” by Ofsted inspectors, and a third fewer prisoners are studying for GCSE qualifications than in 2010. 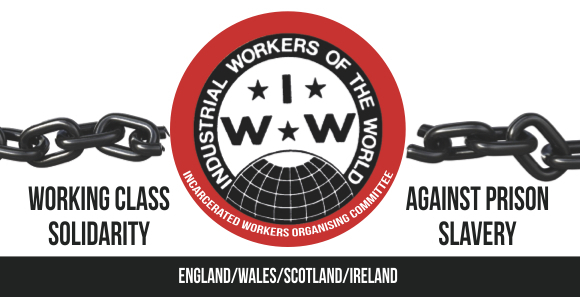 The action was supported by No Prisons Manchester and Action for Trans Health, before the International Day of Solidarity with Transgender Prisoners this Sunday, 22nd January.